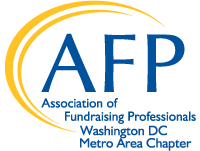 AFP offers a number of educational opportunities, especially for the experienced fundraising practitioner. These opportunities address both the practical skills and theoretical understanding required of advanced-level fundraisers. For more information, visit the CFRE International website. The Certified Fund Raising Executive (CFRE) credential demonstrates an individual’s mastery of the standards set for core knowledge and skills required of fundraising executives after five years of experience. This practice-based designation requires demonstration of having met these standards through both an application and a written examination. It also provides you with a recognizable demonstration of your personal and professional achievement and commitment. The CFRE study group is a seven-week study group hosted annually by the AFP DC Chapter. Sessions include subject areas from the CFRE test content outline and resource materials provided by CFRE. Certification as ACFRE requires successful completion of four stages of the process, which must be completed sequentially: 1) a written application, 2) a written examination, 3) a portfolio review, and 4) an oral peer review. Candidates for ACFRE Professional Certification should be aware that not all "advanced" or "senior executive" continuing education opportunities are acceptable for the ACFRE application process. To be eligible, such activities must address one or more specific topics in Advanced Organizational Management or Advanced Organizational Leadership, as described in the ACFRE Application and Guidelines. Those interested in pursuing an ACFRE certification must meet the following criteria: 1) have at least 10 years of experience in professional fundraising, 2) currently have or hope to attain a leadership or managerial role in philanthropy, 3) want to expand their knowledge and understanding of fundraising history, philosophy, and theory beyond a basic level, and/or 4) have identified the ACFRE designation as a career objective.